Combine all ingredients in a cocktail shaker. Add ice. Shake well. Serve over ice with a kosher dill pickle. Or strain into martini glass and serve with an olive. 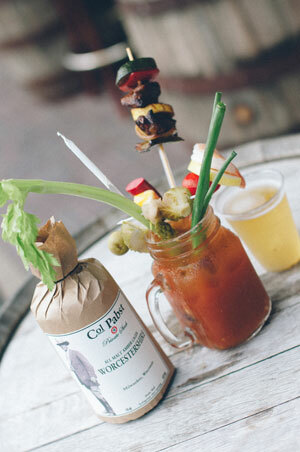 In Milwaukee, Bloody Mary’s are always served with a small cold beer chaser.